Today Marks the One Year Anniversary of Chris Lighty’s Death. Busta Rhymes pays tribute to him with the use of Bob Marley’s “Natural Mystic” song. Tattoo artist Dave Tevenal has easily been one of Columbus, Ohio’s greatest success stories. He is an internationally respected tattoo artist that has been covered by many tattoo mags and has also made a name for himself on the tattoo circuit. 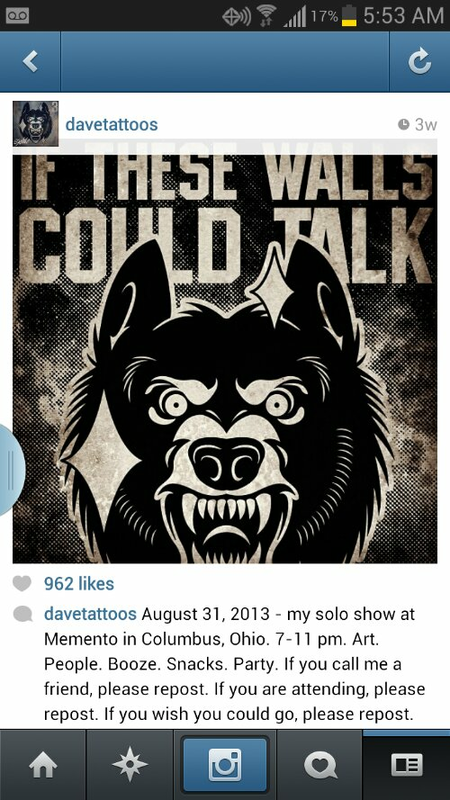 On, Saturday, August 31st Dave is having an art show at a Momento Tattoo Studio from 7-11. Chaz Mcgee is a skater that lived by Dodge Skatepark and later moved to the OSU campus and pretty much owned everything. If you remember the Skateboard Bowl at the Wexner Center than you remember Chaz pretty owning the night. If you remember going anywhere in the late 90’s and seeing skateboarding than you probably remember Chaz doing big things effortlessly. Chaz also kicked it at DJ Przm’s(RIP) Bernies Hip Hop night and was a campus legend outside of skating for his ability to do backflips. Let’s just watch Chaz part from Columbus/L.A. Skateboarding company Playfactory’s video from the turn of the millenium at the top the page. He is still around. I bumped into him at the Bone Show. Columbus, Ohio’s SupaNatra has been getting a lot of blog love for “Do It”. So it’s only right that the Exec Gang boss drops a video for the song. Earl Sweatshirt and Tyler, The Creator toured Ireland with Eminem. Obviously, Em is a huge influence on OF so there are various reasons why this is huge for Odd Future. OF is also probably fun for Eminem because it connects him with his base Hip Hop enjoyment. Side note: I don’t know if you copped Earl’s “Doris” album but it’s an extremely creative and well-done Hip Hop album. Eminem’s Rick Rubin produced”Berzerk” is somewhere between a Beastie Boy song and a throwback to the 50 Cent/ Billy Squire Satanic Mash-up.